Elizabeth was born in 1533 into a time of political and royal drama. She was the daughter of King Henry VIII of England and his second wife, Anne Boleyn. Henry believed that only a man could rule a nation, and dramatically divorced his first wife, Catherine of Aragon, with whom he had a daughter but no sons, so he could marry Anne. When Anne’s baby turned out to be a girl too, Henry was disappointed. Elizabeth as a young woman. Henry quickly found another new bride, Jane Seymour, and had Anne Boleyn executed as a traitor. But Jane soon died giving birth to Elizabeth’s younger brother, Edward. Elizabeth’s father next married Anne of Cleves, whom he divorced almost immediately. He then married his fifth wife, Catherine Howard, Anne Boleyn’s cousin. She too was executed by the impatient king, who finally married Katherine Parr before he died himself. Elizabeth was thirteen, and Edward just nine when he took the throne. Young Elizabeth watched all of this from afar and clearly learned her lesson: marriage was a dangerous thing for a woman. She was determined not to be ruled by any man in case she ended up like her mother and stepmothers-set aside, forgotten, or even killed. Luckily, her last stepmother, Katherine Parr, was a kind woman who ensured that the young princess was educated just as well as if she had been a prince. When Edward, aged only fifteen, became ill and died, Elizabeth’s older sister, Mary, took the throne. Mary was a devout Catholic and Elizabeth was a Protestant, and because of this Mary declared Elizabeth to be her enemy, locking her up in the Tower of London. Elizabeth’s portrait on a coin. When Mary died, Elizabeth inherited the throne at the age of twenty-five. Being queen of England was a tough job: England was poor, and fighting between Catholics and Protestants meant it was deeply divided. Elizabeth quickly made England a Protestant nation once more, but unlike her sister before her, she allowed her subjects to practice their own faiths quietly. Hatfield House in England, where Elizabeth learned she was to be queen of England. With a new queen on the throne, suitors appeared from all over Europe. But only one man came close to capturing Elizabeth’s heart: Robert Dudley, Earl of Leicester. However, she was determined not to marry, even for love. Although Parliament refused to give her the money she needed to rule unless she married, she resisted: she would rule England alone. Under Elizabeth, English culture flourished and William Shakespeare’s plays started a golden age of literature. She also looked beyond English borders, sending Francis Drake to sail around the globe. In America, her knight Sir Walter Raleigh started a colony named Virginia, after the unmarried “Virgin Queen.” An empire had begun, and soon money and goods from the new colonies came pouring in to the royal treasury. Elizabeth’s position was not always safe. There were many plots to overthrow her, including one involving her cousin, Mary Queen of Scots. After Elizabeth had Mary executed for treason, Mary’s supporter, Philip II of Spain, sent a huge fleet of ships to invade England, known as the Spanish Armada. But Elizabeth’s own fleet-helped by strong winds-pushed them back, and England was safe again. Elizabeth ruled for forty-five years. Many people believe that she was the greatest monarch ever to rule England. Where there had been violence and poverty, she created peace and prosperity. She sponsored the arts and the exploration of the New World, starting an empire that would last for hundreds of years. And she did all of this on her own, resisting a marriage that might have made it harder for her to rule in her own right. Elizabeth’s unique signature. The “R” stands for Regina, which is the Latin word for queen. 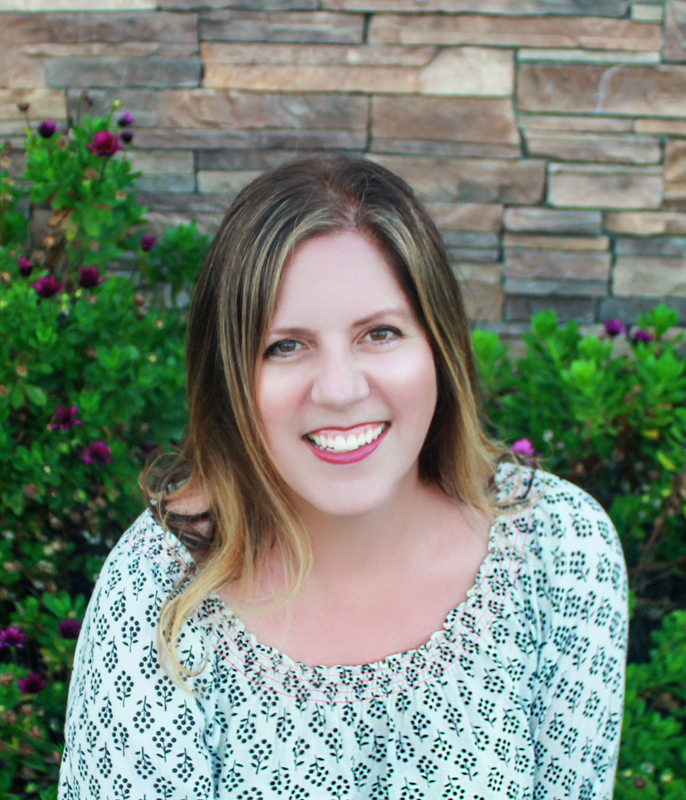 Katherine Halligan grew up near the beach in California with her nose in a book and her toes in the sand. She studied arts, literature, history, and languages, travelling and living all over the world. Her love of words and pictures led her to work as a publisher, writing over 100 books for children along the way. She lives—once again—near the beaches in California with her husband and their two daughters. Sarah Walsh grew up in upstate New York. When she was young she was obsessed with animals. So much so that she wanted to be one, and wore different animal costumes all year round. She also knew in her heart that she would be an artist someday…if she worked hard enough! Sarah is now an internationally published illustrator and lives with her family in Kansas City. * "The duo devotes each bustling, scrapbook collage–style spread to a different subject, layering biographical details against expressive portraits, photographs, and ephemera....Halligan and Walsh offer approachable educational content about lesser-known subjects in a warm and vibrant visual presentation." "This attractive collection profiles 50 inspiring women across the centuries, from the famous to those who aren’t (but should be)....After so many years of ignoring female accomplishments, this volume is a welcome addition to the many recent efforts to join her-story with his-story to reflect our-story." 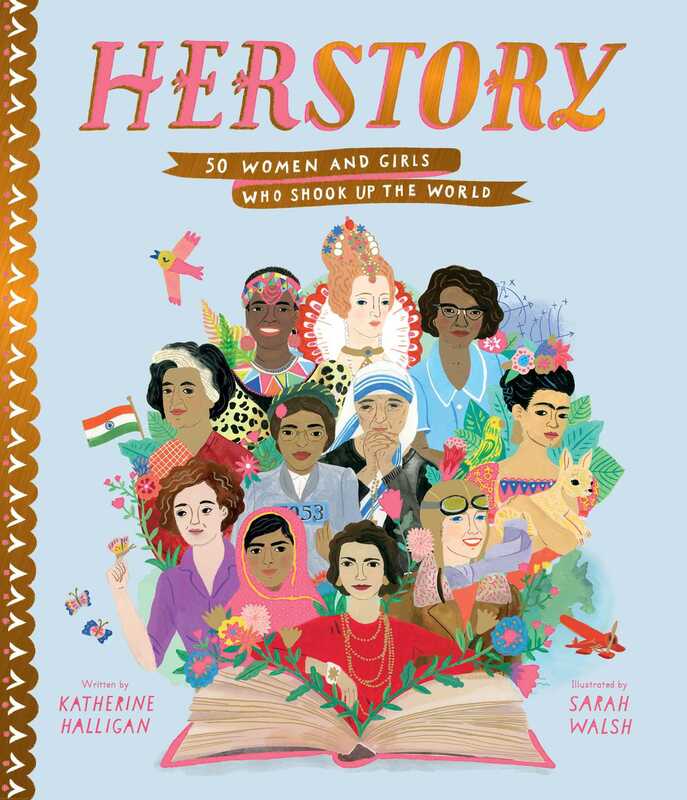 "From its oversize dimensions to its fantastic use of color, this volume draws readers into the life of each woman it profiles....The result evokes a treasured, hand-crafted scrapbook rather than a dry, biographical dictionary....This joyful introduction to significant women throughout history is highly recommended."